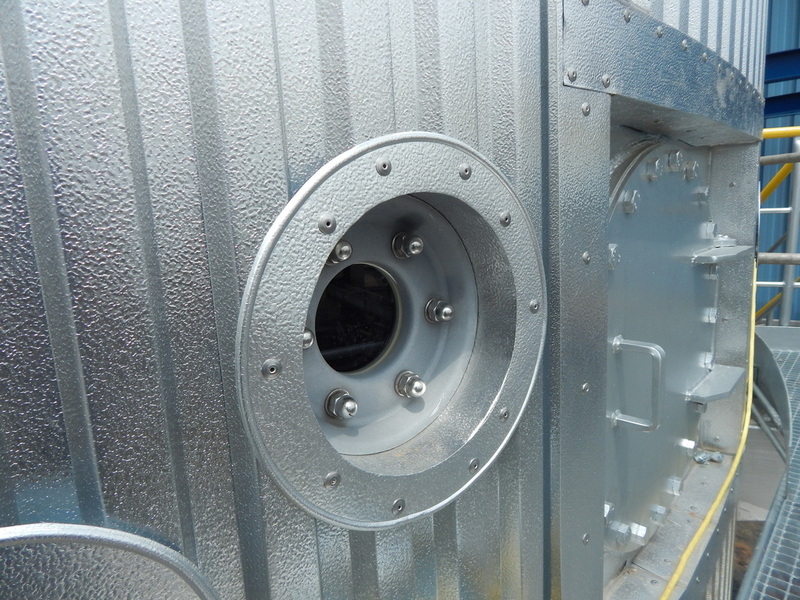 Some of the areas largest corporations turn to Thermico for custom fabricated insulation solutions. 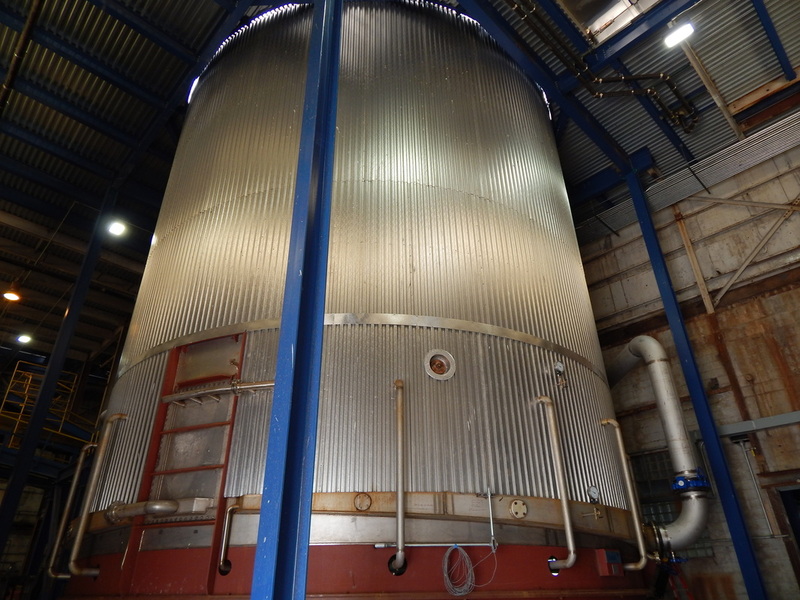 Featured here is a large tank at Michigan Sugar Company in Bay City, MI. 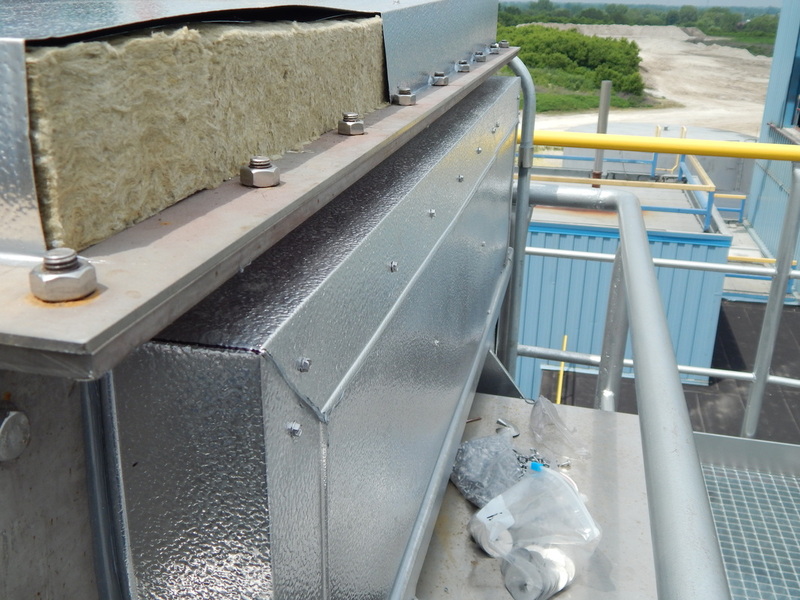 Custom fabricated insulation coupled with high quality jacketing and accessories met the required specification and looked great too. Attention to detail is evident in the quality of workmanship on the finishes. 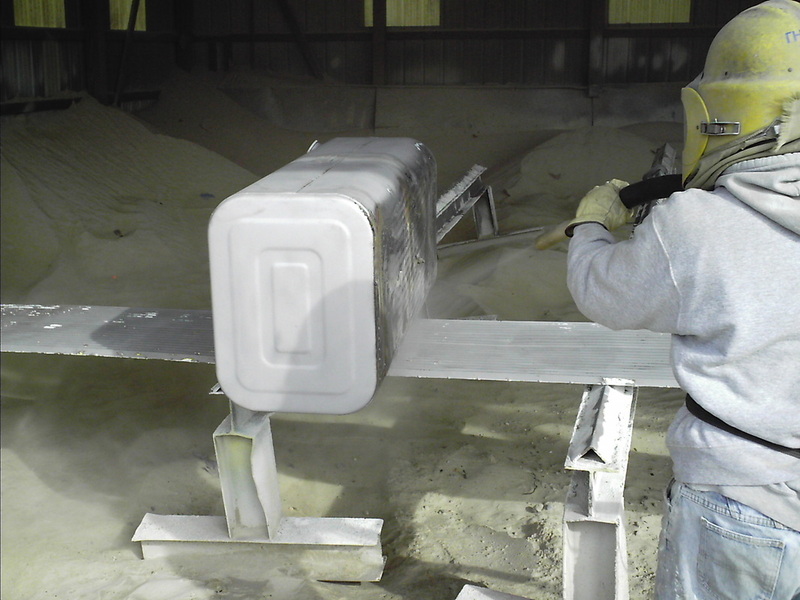 After more than 10 years in operation, the Thermico paint facility continues to provide its services to all customers for many varying applications. 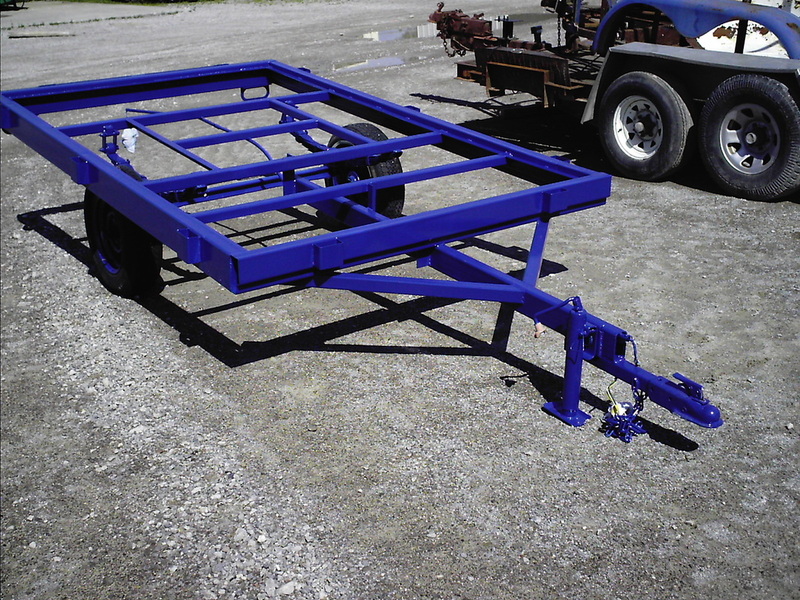 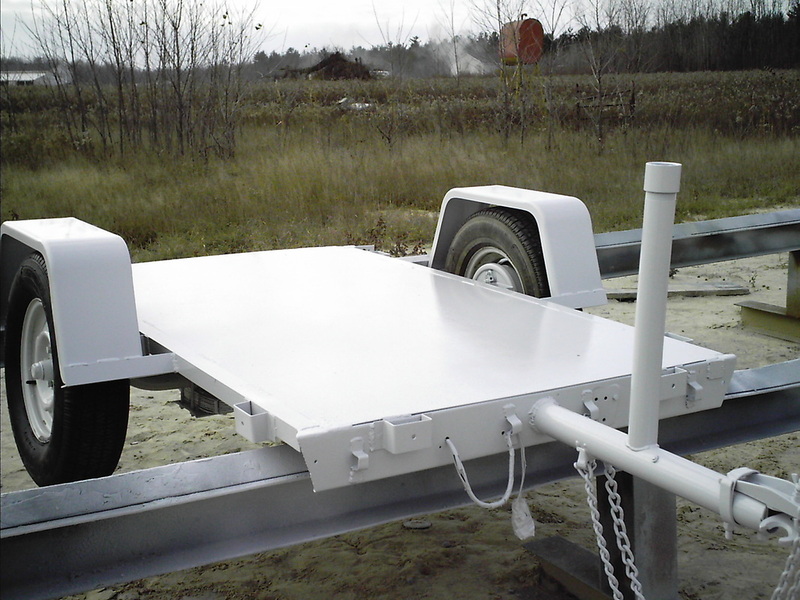 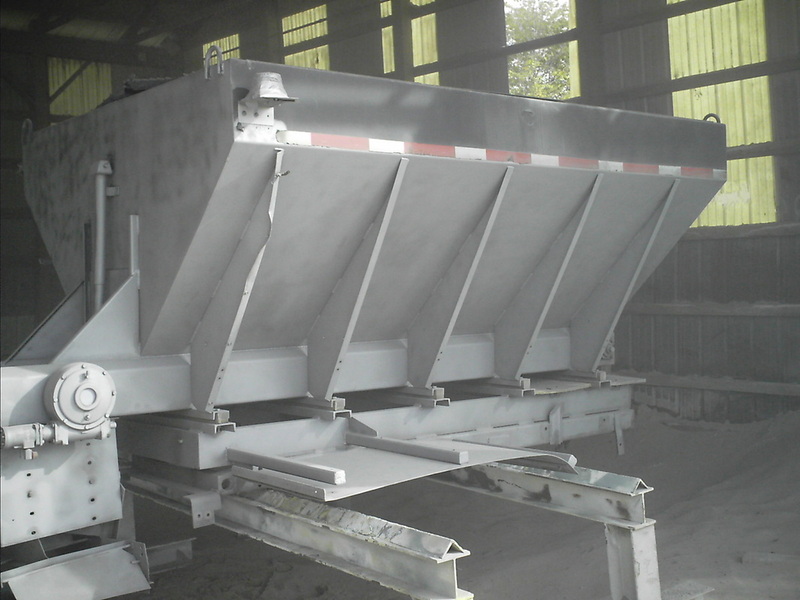 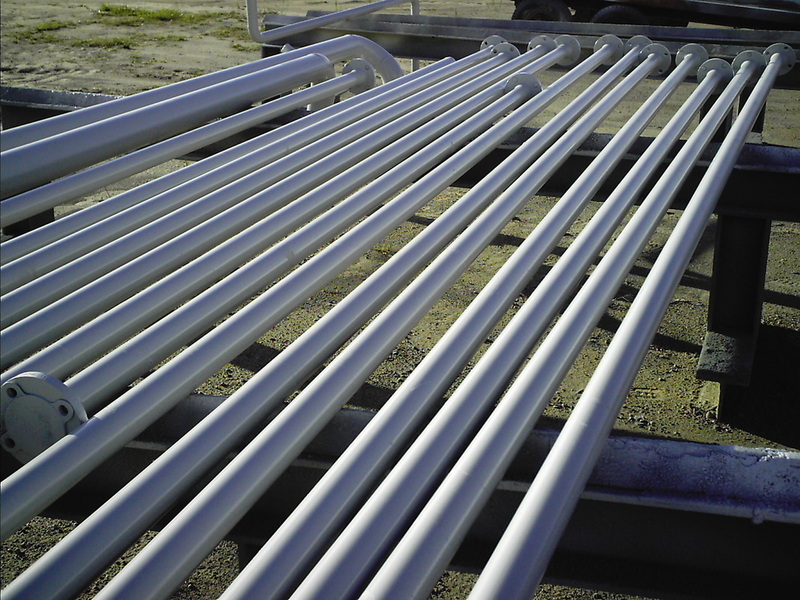 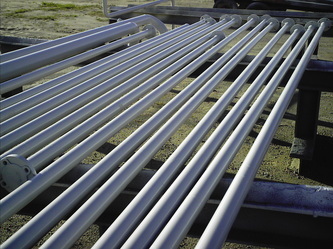 Our yard has the capacity handle the largest industrial steel and pipe projects, but will also paint trailers, car frames, and other miscellaneous items for local businesses and residents. Any size and type of job can be done, and done right, at our facility. 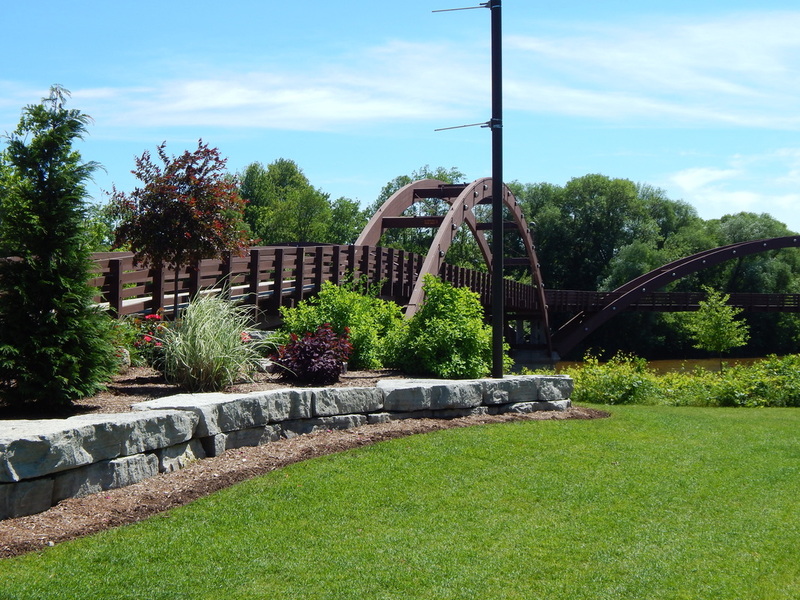 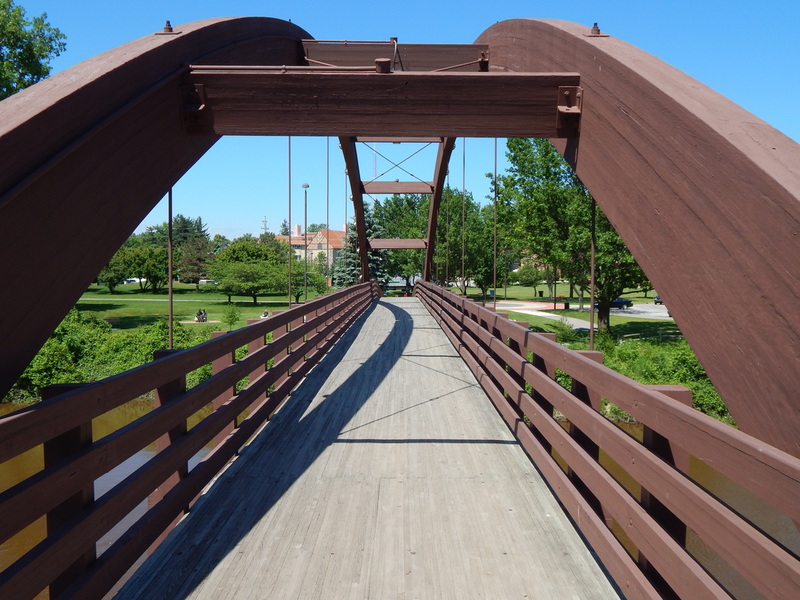 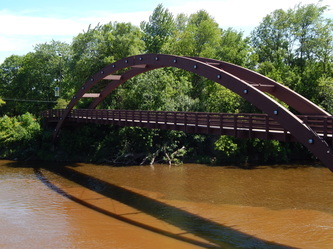 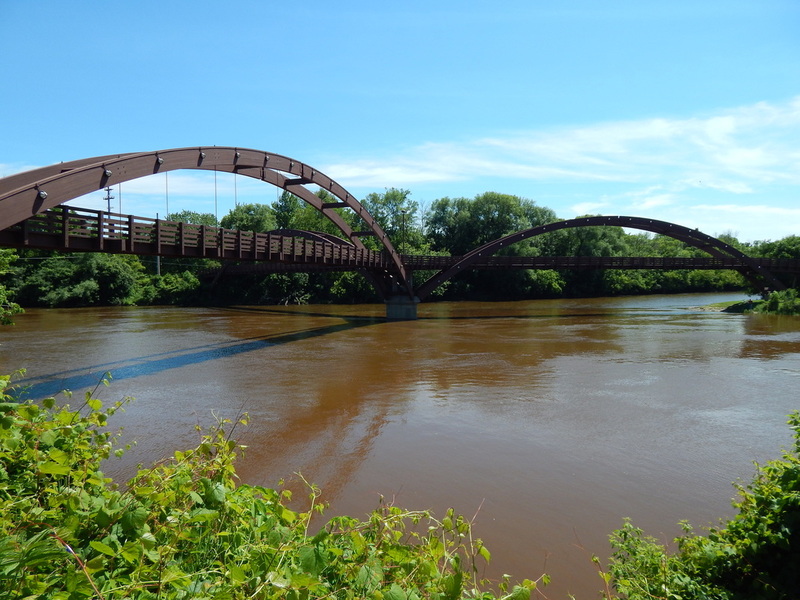 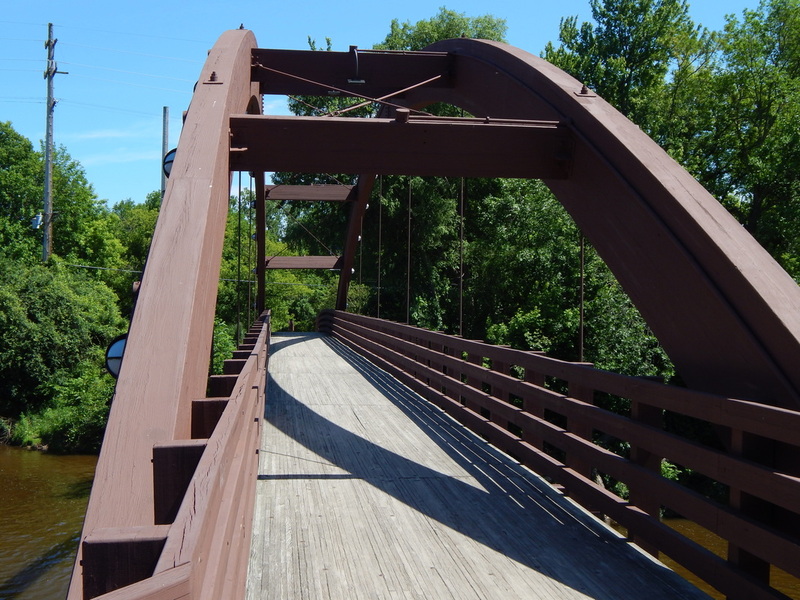 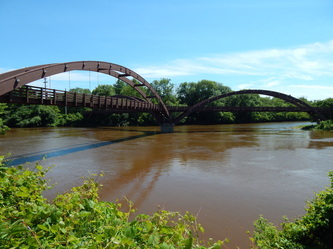 In the city of Midland, no one structure is more notable or as easily recognizable than the Tridge. When the task of painting this iconic landmark came to light, we were excited for the challenge. Though painting was completed in 2011, high quality products leave the Tridge looking great still today. 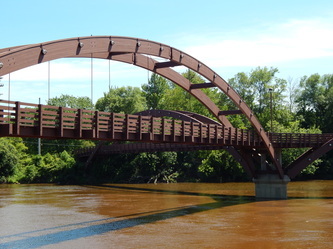 Creative methods were used to complete the project; lifts on the Tridge to reach the high parts, and pontoon barges from below to paint the undercarriage. 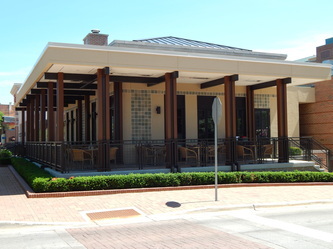 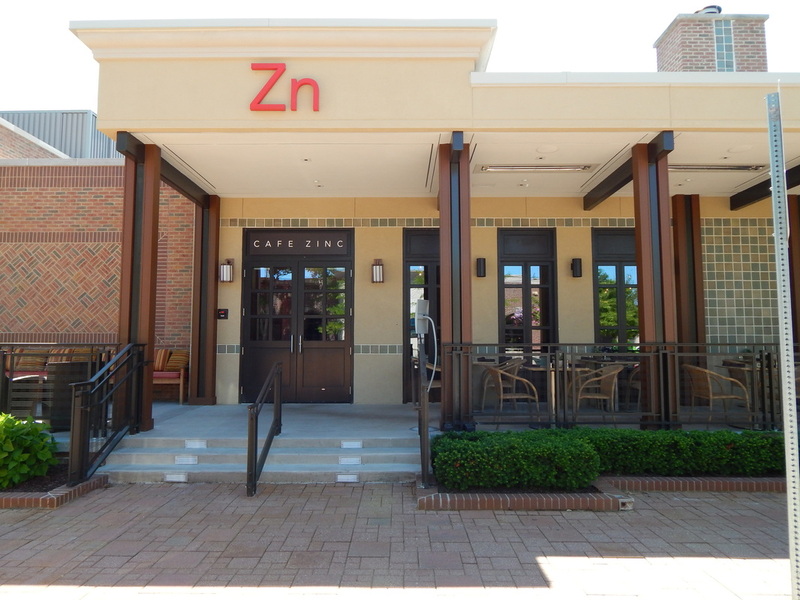 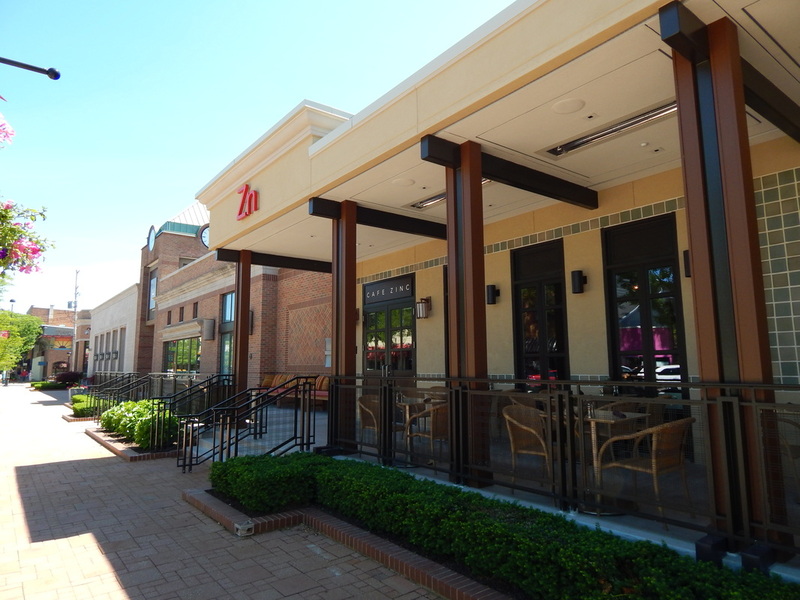 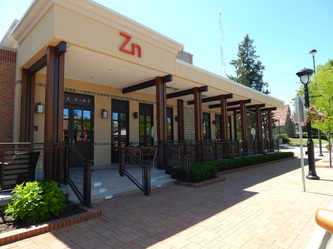 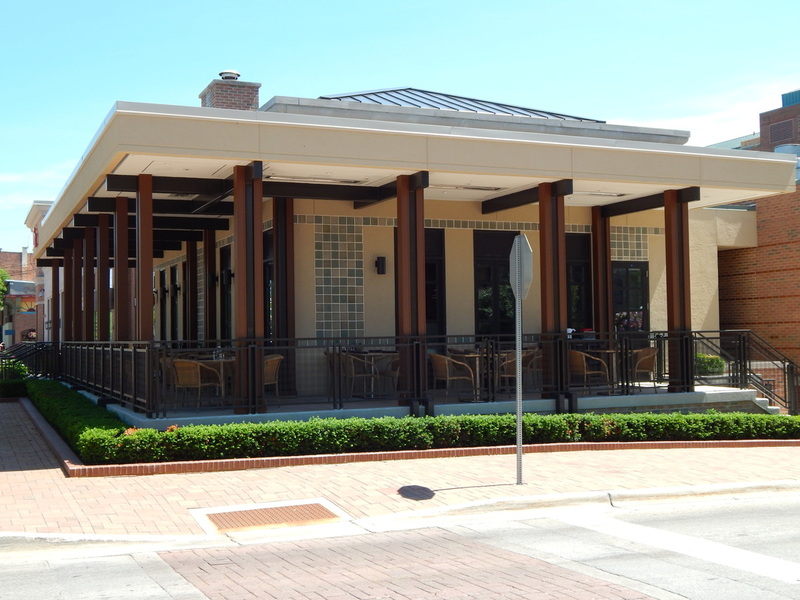 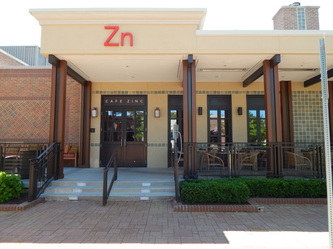 Located in downtown Midland, Café Zinc is a modern themed, high-class restaurant. 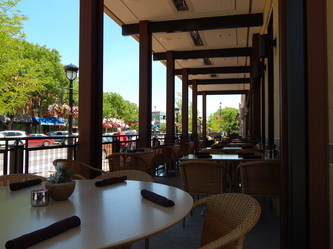 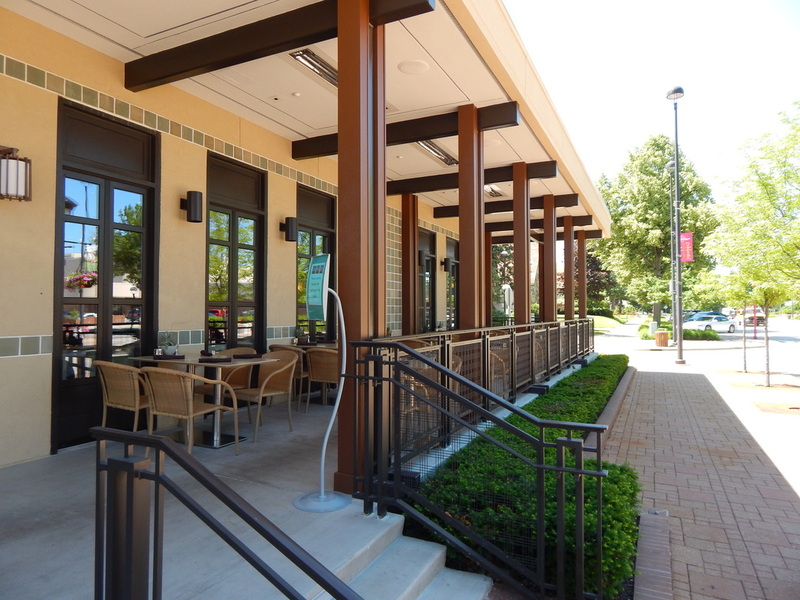 A renovation of the outside seating area transformed the patio into an extension of the contemporary architecture located inside the building. 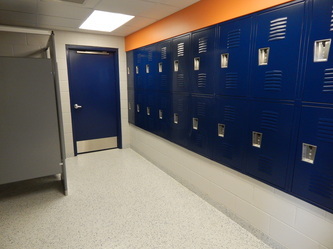 The finishes on this project are all very high end and high quality. 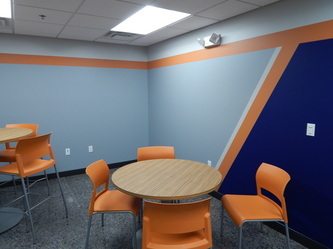 With attention to detail being most important here, we drove hard each day while on site to make the final product look as good as the concept; it turned out great. 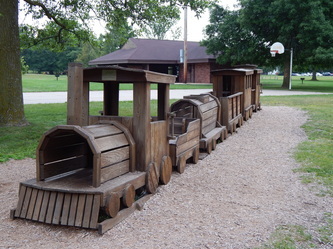 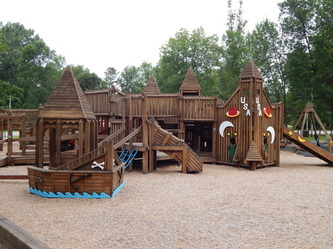 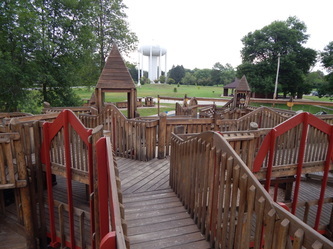 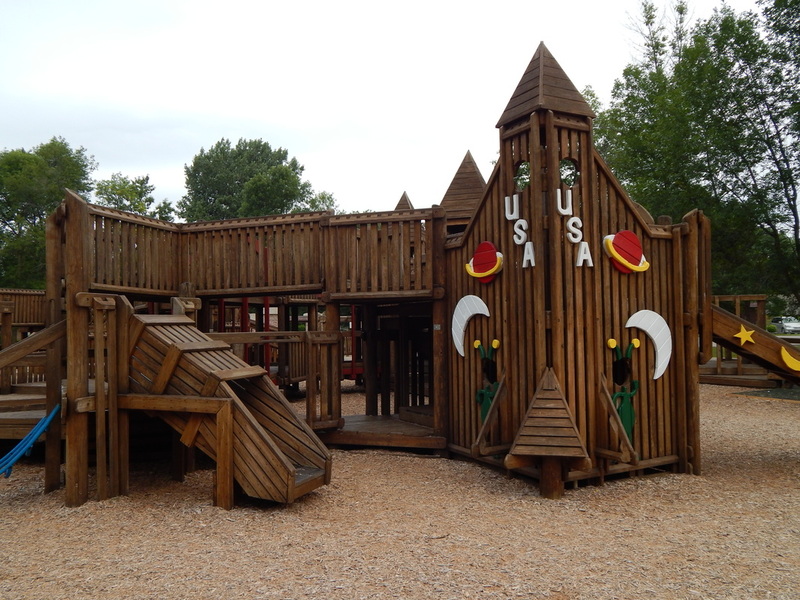 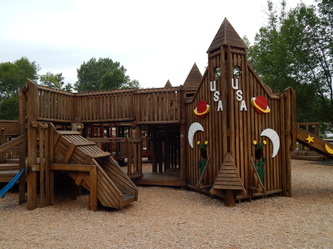 The "FunZone", in Midland, is a wooden play structure designed for kids of all ages. 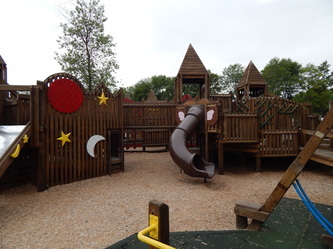 Located in Plymouth Park, one of the city's largest parks, the FunZone is a popular destination for children and families from early spring to late fall. 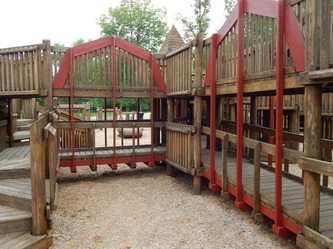 The re-staining of the wood on this structure is critical to maintaining it for future children. 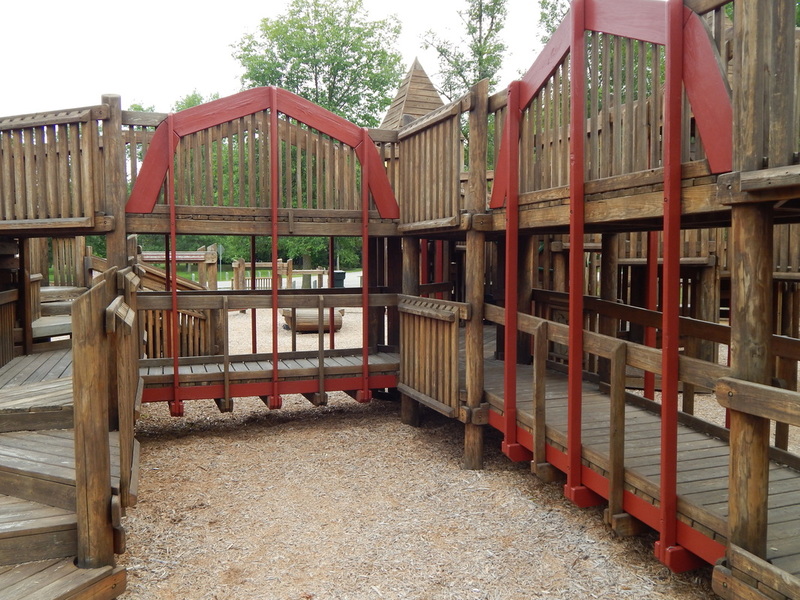 Using high quality stain and experienced painters, the project was quickly completed ensuring minimal down time for this family favorite. 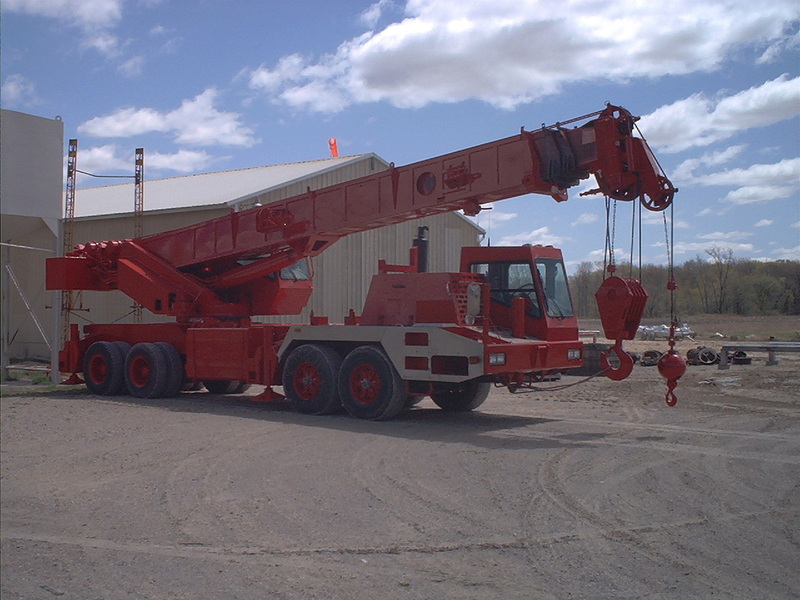 Fisher Contracting Co. started in 1957 in Midland, MI. 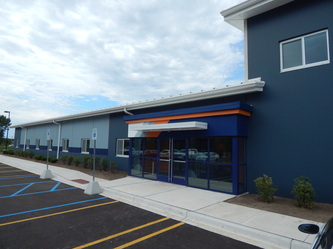 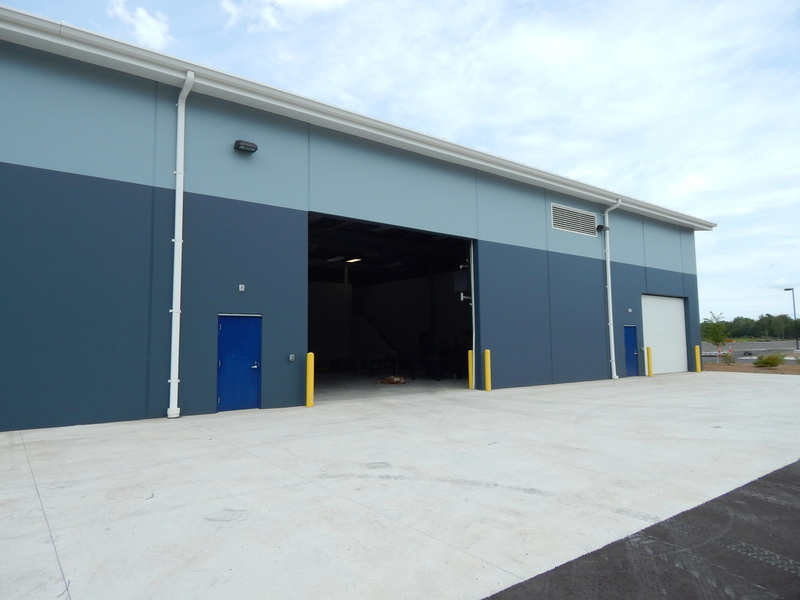 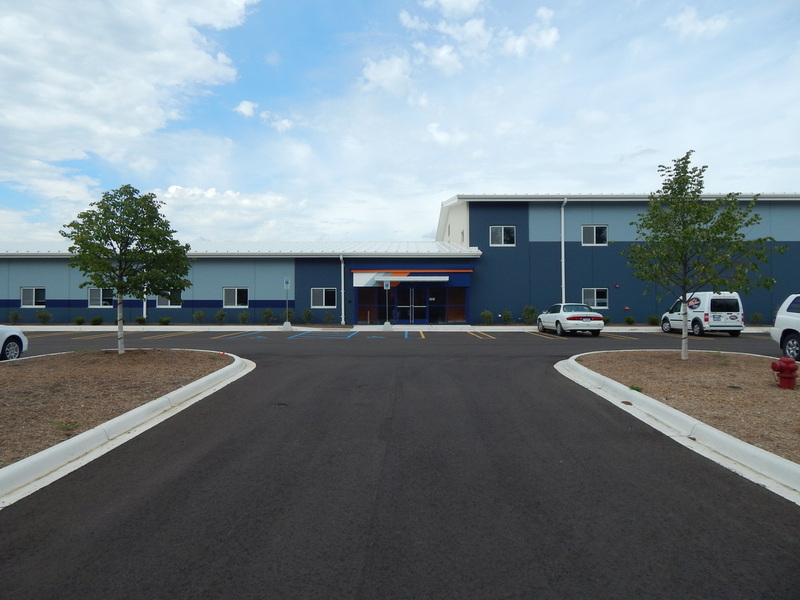 Having long outgrown their facility, plans were made for a new, larger facility containing the whole office and a complete shop. 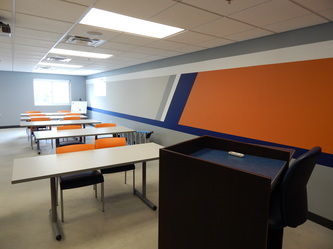 Our job was to provide complete coatings throughout the building; interior and exterior. Some of the elements included in this project were various detail & graphics, custom floors, exterior concrete building stain, and many more. The building looks great, and was worth the wait! 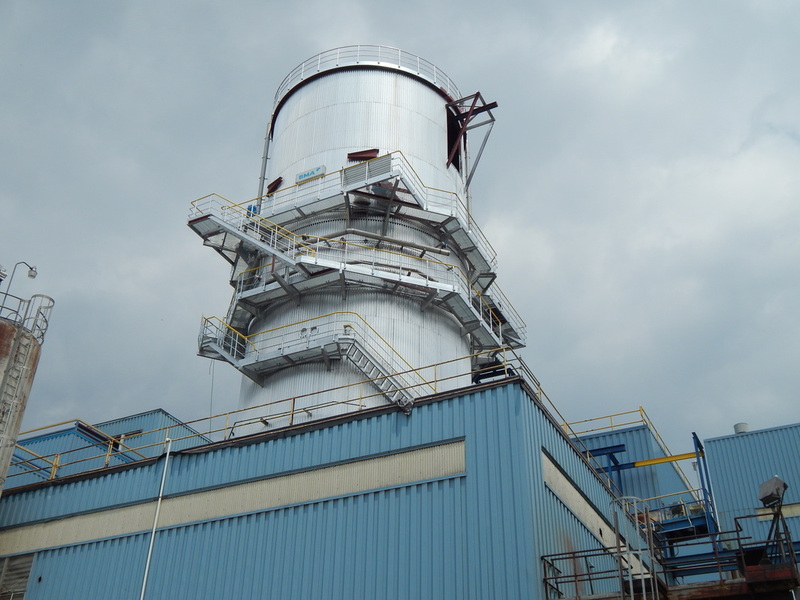 Scope: Install insulation and jacketing on the 321 foot tall stack at St. Marys Cement in Charlevoix, MI. 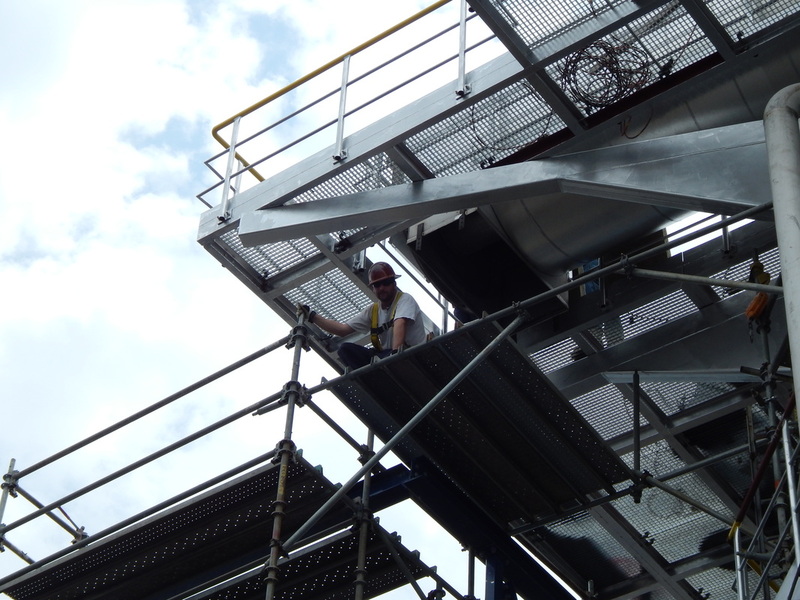 Scaffolding will be used to access the first 130' of the stack, Spiders for the remaining 191'. Scope: Build scaffolding around the three towers at building S-305 inside Hemlock Semiconductor. 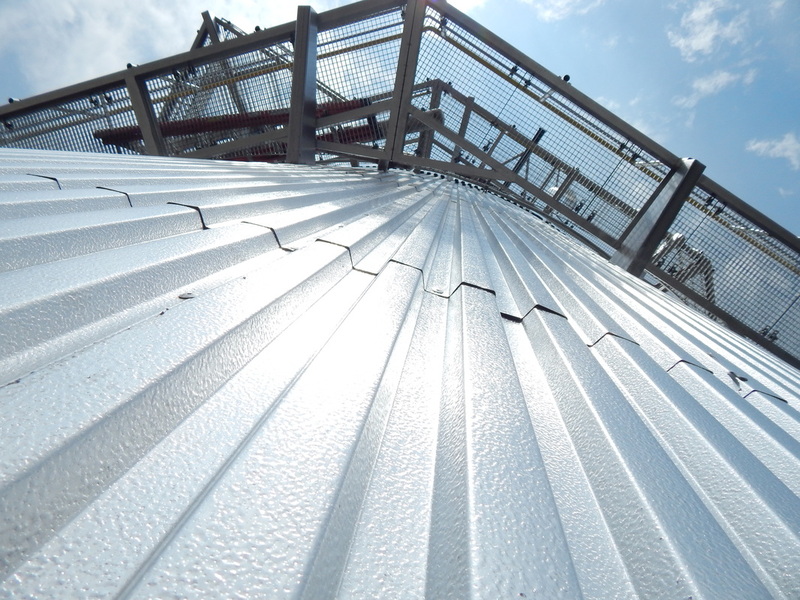 The completed scaffold will have a footprint of 75' x 40', surround all three towers, and stand 200' tall.